We look at ten of the best sets of DJ headphones to suit all budgets, with perennial classics and fresh examples of design all making the grade. 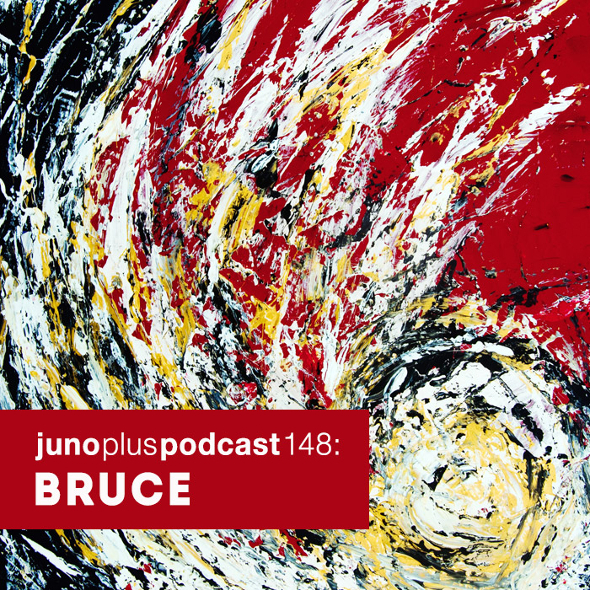 Whether you’re a staunch vinyl advocate, a dab hand with a pair of CDJs, or one of the ever-growing number of digital DJs, a decent pair of headphones is vital to ensure your mixes are cued up on time and at the right volume. However, with a bewildering number of brands and models, making the right decision for your particular DJ needs can be a tricky process. 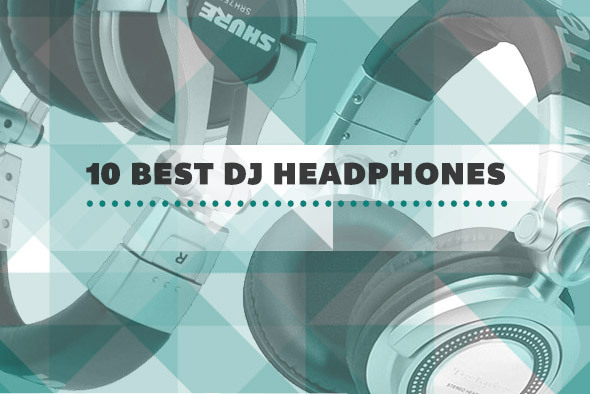 In this round-up, Juno Plus has picked out what we consider to be the best sets of DJ headphones money can buy; from the flashy to the understated, each model offers the best sound quality and functionality for their price points. The K81 features a closed cup design with excellent isolation with an adjustable head band to fit your domepiece securely. The medium-sized drivers in each cone produce a punchy sound with a healthy dose of bass reproduction and smooth mids, as to be expected from a world class brand such as AKG. A quick look at the frequency response of these headphones confirms they reproduce frequencies all the way down to 16Hz (that’s Mika Vainio territory) and reach all the way up to 24 kHz (Raster-Noton range). 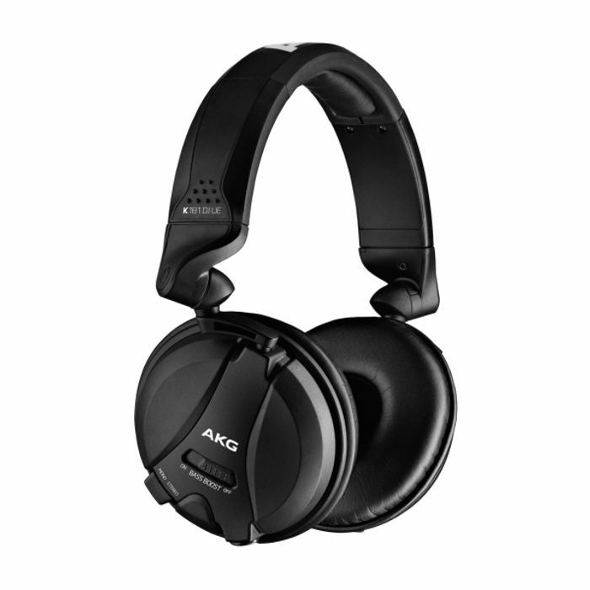 AKG have designed these headphones with an exceptionally lengthy two and a half metre cable that is more than long enough to have you move about the place freely. In addition, these cans feature a three dimensional folding mechanism that allows you to neatly tuck them into the drawstring bag they’re shipped with. The K81’s feature fully reversible ear cups that accommodate single ear monitoring and although these headphones might not have as clearly defined high frequency reproduction as some higher end models, you will be hard pressed to find a better pair of affordable DJ cans that are value for money. Specifically designed for cueing, mixing and general listening, the SRH750DJ from Shure are aimed at providing active DJs with something durable. 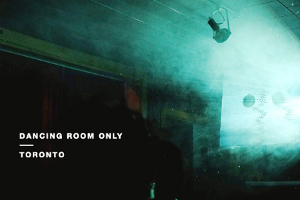 Without squashing or distorting the sound, large 50mm drivers offer detailed bass and rich, high-end frequency response levels when played at loud volumes, making them suitable for use in a DJ booth. 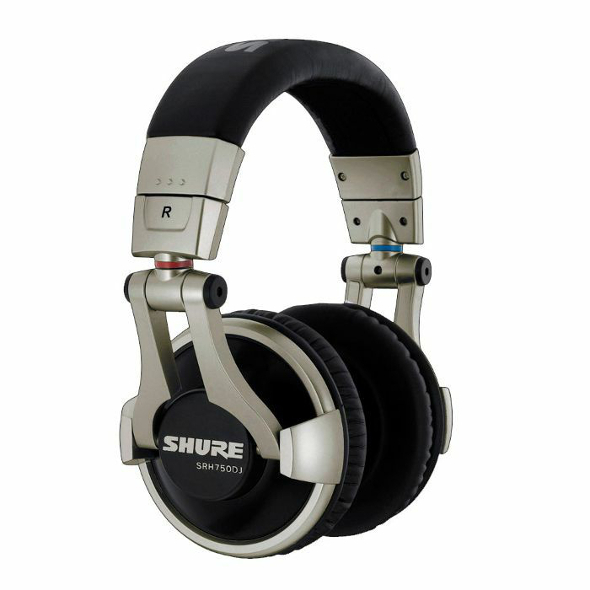 The closed cup earphones can be swivelled (with comfort in mind) for DJs who favour single ear monitoring, and Shure have furnished the SRH750DJ with a thick, adjustable head band. It’s also possible to fully fold the drivers under the headband so they can fit into the provided carrier bag too. The SRH750DJ’s 50mm drivers fit over the ears in a design that provides sufficient isolation from exterior sound. Those who have used the SRH750DJ in the pass report this model’s bass response provide a solid oomph while the bright highs are enough to cut through fog of excessive outside noise. Their larger size means they’ll standout when worn, but this is duly offset by how snug they fit around your head. A pouch and quarter-inch adapter are included. The only brand to feature two different designs in our top ten, Sennheiser recently released an over ear design that is suitable for DJs and studio dwellers. They ship with both straight and coiled detachable cables that are three meters in length and are designed for professional use and as such don’t feature any of the smart phone controls you might find on similarly priced cans. The egg-shaped build of the drivers are large enough to fit over the ears as opposed to the “on ear” design of the HD25 1 II. They’re a durable and good looking pair of headphones with stainless steal pivot rings, Kevlar coated cables and a choice of soft velour or leatherette ear pads. Although the HD8 is not designed to fold away, they do feature swivelling ear cups for single-sided monitoring and this is aided by the one-sided cable design that helps keep cable tangle at bay. Sennheiser claim that although the frequency response on their entire HD range is similar to each other, the HD8’s are a little more refined, with a clean reproduction no matter how loud the input signal. 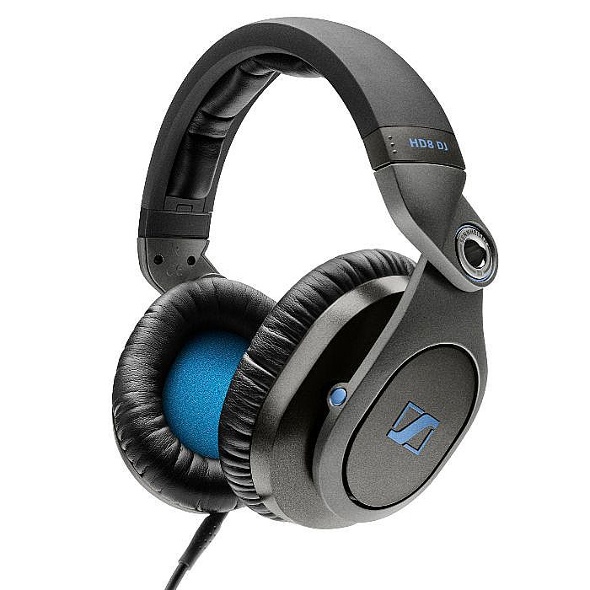 To outline the high end nature of these headphones, Sennheiser have included a protective case, and if you are looking for quality sound in an over ear design that is both handsome and durable then consider these. 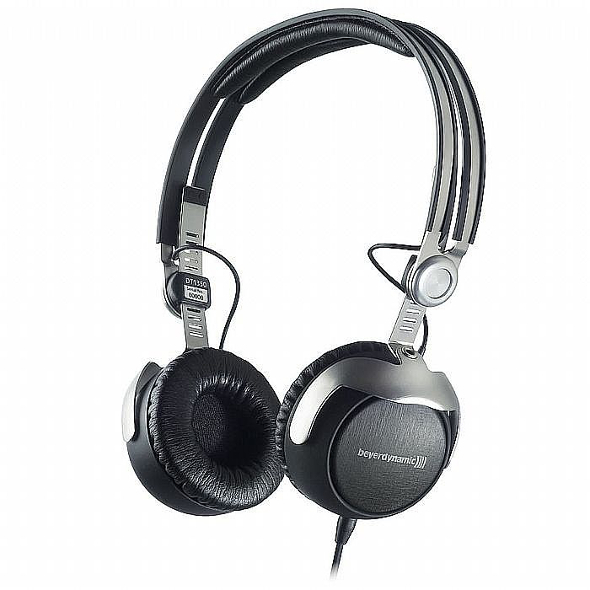 Numark are better known for their extensive line of DJ controllers and mixers than they are for headphones, but being in the DJ equipment business it makes sense they should have a headphone design on offer. Often associated with the budgetary end of the market, the HF125 is by far the most affordable product in this top ten. 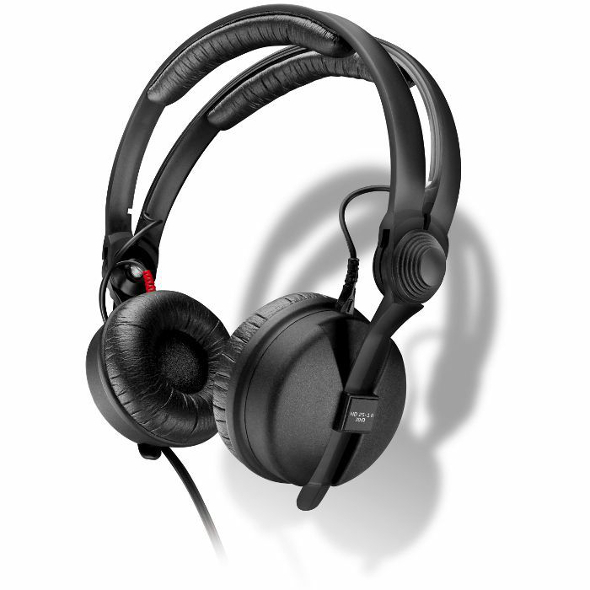 Despite their low cost, the HF125 has features that are found on more expensive headphones. 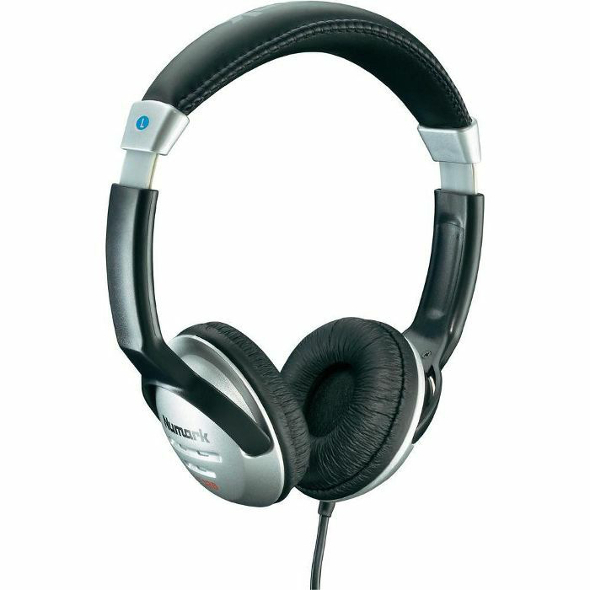 One example being the adjustable headband that includes a cushioned pad for comfort and rotating earpieces for single side monitoring. The closed cups provide a satisfyingly loud signal that users report is slightly bass heavy, which might be better for beat mixing than for everyday listening. As a consequence some users have stated the sound is not as crystalline as some other products, but at this price there’s little point comparing this to the higher end models. The side-fitted cable is a generous six feet in length and is described as being tangle-resistant with a quarter-inch jack on the end, which might be a bit inconvenient for those wishing to use these cans with their smart phones, but its nothing that a 3.5mm adapter can’t fix. Iconic manufacturers Technics launched in 1970 tasked with the mission of bringing pure sound to discerning ears, and they’ve been on top of their game ever since. 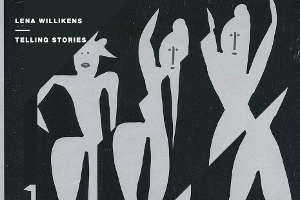 Their SL-1200 record deck helped sky rocket the development of dance music culture following its release in 1972, so it’s only logical they would release a pair of high end headphones to help keep their place in the annals of dance music history. The RPDH1250 has been released in celebration of the 40th anniversary of the SL1200 record deck and its classic design includes detachable cables (one straight with smart phone controls and one coiled for DJ use), swivelling and reversing ear cups and a super wide frequency response that stretches between 5Hz and 30 kHz. Their folding design comes with a carry pouch and features a comfortable wide padded headband. The over-ear design means owners of these headphones enjoy faithful reproduction of sound recordings with clear mids, bright highs and true bass. The RPDH1250 has a chunky and durable look which for some will be aesthetically pleasing, others not so much, but there’s no denying, just like their turntables, these are certainly built to last. Pioneer have forged a reputation with their professional range of DJ mixers – such as the DJM2000 and the CDJ2000 Nexus media player – which will be found in the many bars and clubs you’ve most likely been to. Pioneer’s entry into the competitive headphone market includes the HDJC70 which are professional DJ headphones with an impressive set of technical credentials that include a frequency range that reaches as low as 7Hz and rockets to a stratospheric 32kHz. The design also features an innovative air chamber that reduces noise from the surrounding environment as well as swivelling ear cups and a comfortable but durable headband. 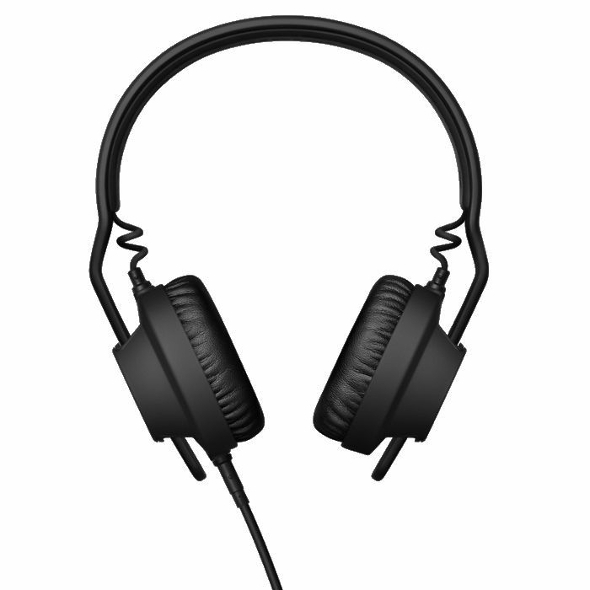 The HDJC70 also comes with coiled and ribbed cables that means users don’t have to untangle the headphones every time they need to be used. Replacing the cables requires a small screw driver that comes in the box and embossed soft case. Comparisons can be made between the HDJC70 and Sennheiser’s HD25, even the AIAIAI TMA-1, however the HDJC70 from Pioneer provide a worthy alternative. With well-defined bass and clear mids, the Pioneer HDJC70 headphones are a welcome addition to the manufacturer’s family of DJ friendly hardware. Based on their fabled TMA-1 headphones, that provided some serious competition for the likes of Sennheiser, Technics and Pioneer headphomes, AIAIAI have introduced their TMA2 modular design that allows you to replace pretty much any of its elements. Locking cables prevents the ends of the headphones being ripped out by accident which may cause damage to both cable and driver, and the angled 3.5mm jack further safeguards this product from cable fatigue. The choice of three headbands are both strong and malleable and have been engineered from compression moulded silicone that has the added benefit of being easy to clean whilst providing optimum grip whilst in use. The AIAIAI’s TMA-1 has a frequency response that was designed to provide the best bass reproduction for mixing whilst reducing harmful frequencies in the top end meaning that users found they could mix for longer without suffering as much listening fatigue. With the TMA2 you can choose from a number of drivers including the well-known TMA-1’s 40mm titanium version that’s ideal for DJing. If you prefer a more general listening type of configuration then you can choose between four types of speaker units including five ear pads that include both on and over-ear designs. With choices of three headbands and six types of cable, there are a total of 360 combinations you can tailor to your own head and listening needs. 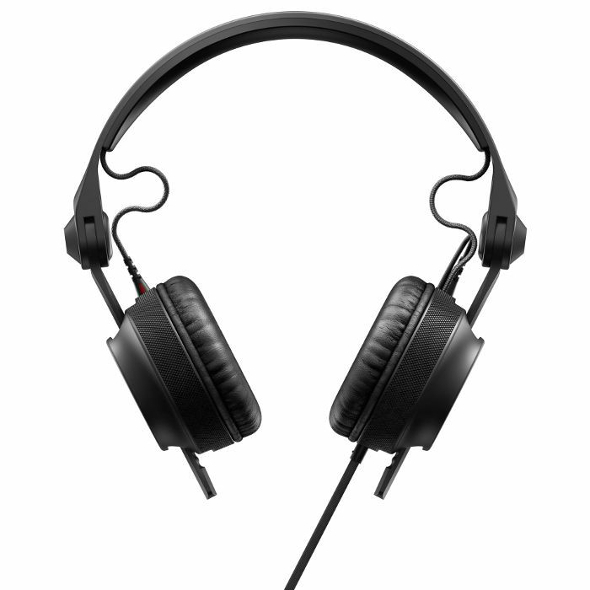 Both affordable and functional, the MDRV150 from Sony are deceptively simple. They contain all of the standard features that you would expect from a pair of professional DJ headphones including an adjustable headband, swivelling and reversible ear cups, and a wide frequency response that delivers good sound quality at an affordable price. The stereo cable is surprisingly long and at two metres it allows you to move freely around the DJ booth, or in and out of the car. The cable itself feeds into both the left and right hand drivers meaning that there is a chance the cables may twist under your chin. 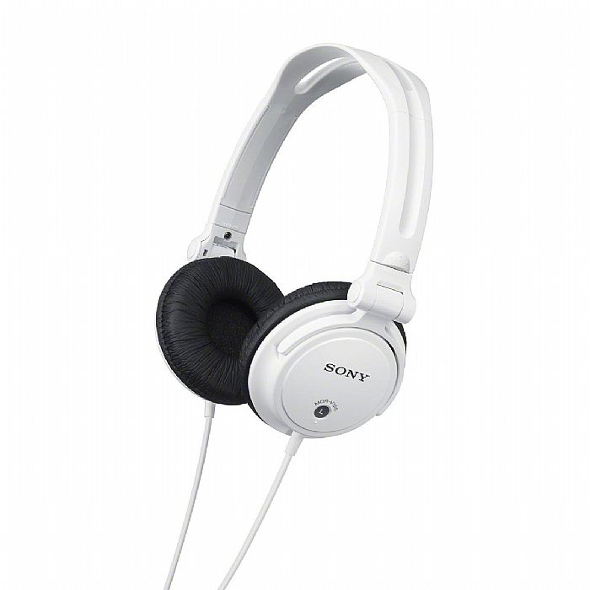 The MDRV150 from Sony are ideal for start-up DJs or people looking for a spare pair of headphones that don’t want to spend a lot of money. They’re of good enough calibre to DJ but aren’t designed with the studio producer in mind. If you are in need of robust cans that have adequate sound quality, are comfortable enough to wear, and don’t cost the earth to replace, then the MDRV150 is a sure thing. 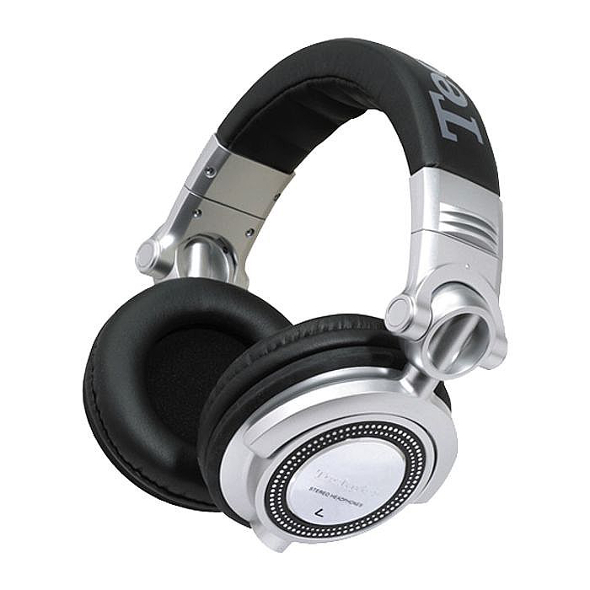 Having developed an extremely efficient transducer using Beyerdynamic’s Tesla magnet structure, the DT1350 is the pro DJ version of the much more expensive T1 headphones; a product aimed at the audiophile. With the DT1350 you get the same high grade driver design at a fraction of the cost of an on-ear design that is ideal for DJs, sound engineers and live musicians. The flexible split headband ensures a secure and comfortable fit with swivelling ear cups for single-sided monitoring. The DT1350 can handle sound pressure levels of up to a whopping 129 dB and coupled with the Tesla transducer design and efficient noise reducing closed back ear cups, these headphones are ideal for use in noisy clubs. The DT1350 comes with a rugged carry case that includes foam padding to insure the safety of your cans and the obligatory quarter-inch adapter. The fragile appearance is deceptive and these headphones are most definitely built to withstand the rigours of travel and use in challenging environments. Beyerdynamic stress the importance of positioning the headphones on your head correctly and supply detailed instructions on the best way to do this. This level of attention to detail means the DT1350 are slightly pricier than other headphones in their class, but they are certainly the most professional we’ve come across.